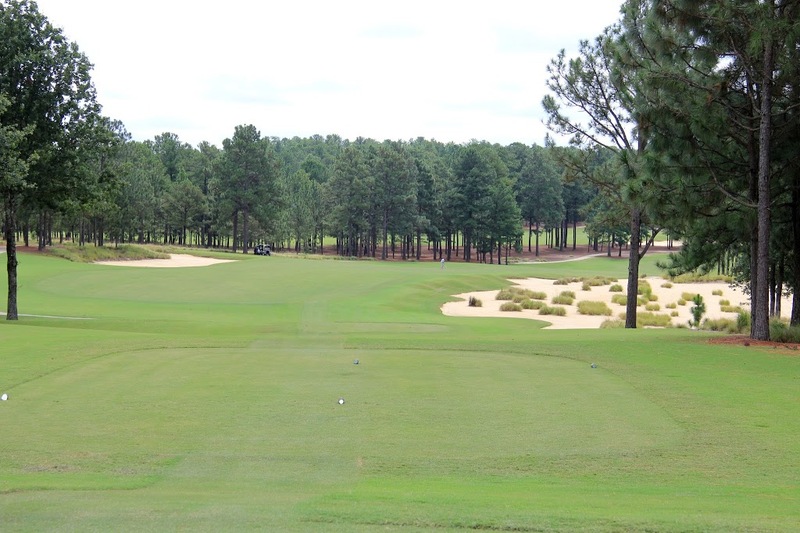 Pinehurst is one of my favorite areas in North Carolina to play golf. 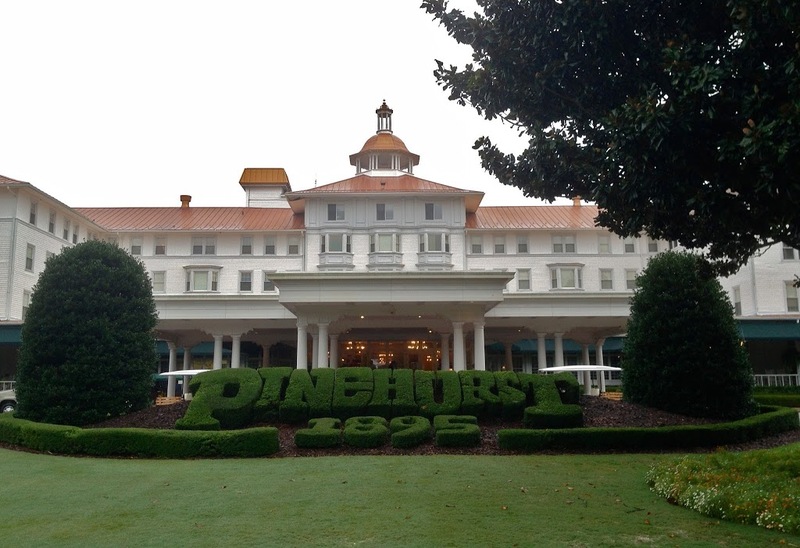 On one of my most recent trips to the area, I played both Pinehurst no. 2 and no. 8. The resort has a total of eight courses, and more information on the overall features of the resort can be found in the no. 2 post linked above. 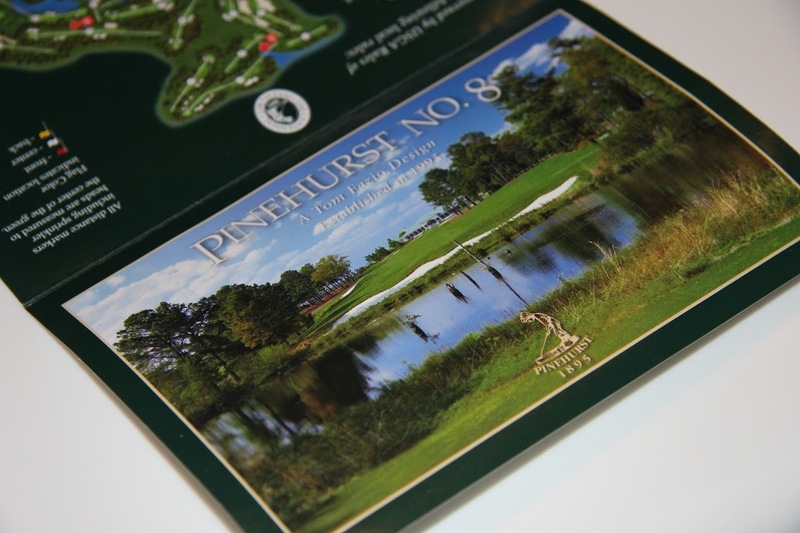 Pinehurst 8 is located “off-site” and is a short five minute drive from the clubhouse and village. 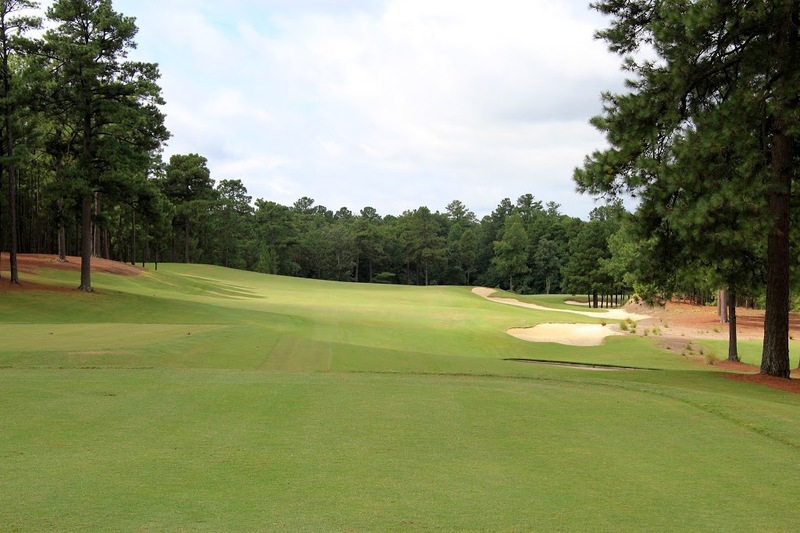 The course is a Tom Fazio design and was opened in 1996 to commemorate the centennial year of the Pinehurst resort. I find no. 8 to be one of the most enjoyable courses at the resort to play. It could be argued that no. 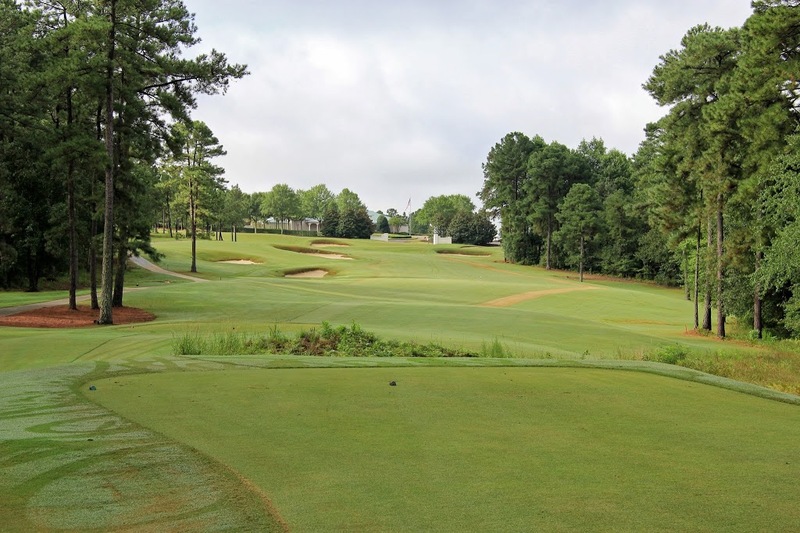 4 is a stronger golf course, but the two designs were built in different eras and have two completely different objectives. If you go into no. 8 expecting something to rival no. 2, you will be disappointed. 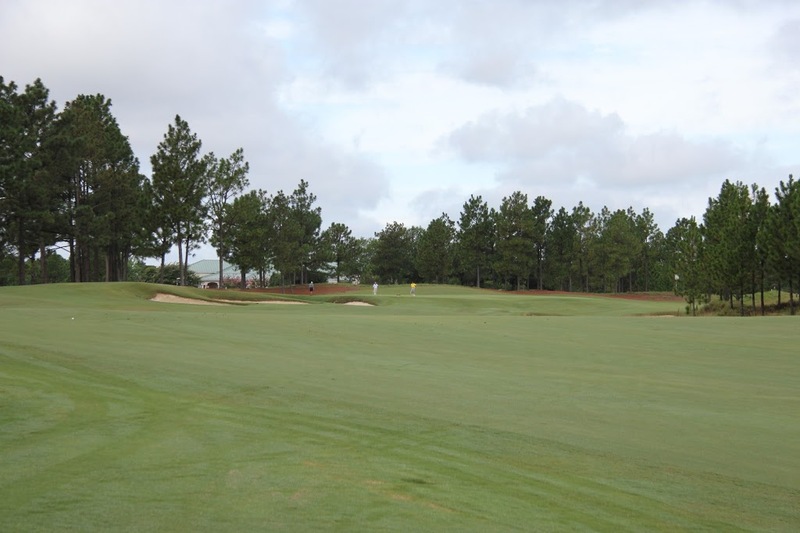 Instead, go into the round looking forward to a perfectly manicured course and a different taste of Pinehurst golf. It is said that Fazio tried to channel certain features of Donald Ross in his design of no. 8. False fronts and swales surrounding the green do harken back to Ross, but the feel of the course is overwhelmingly Fazio. I am a fan of the utilization of natural wetlands on the course. 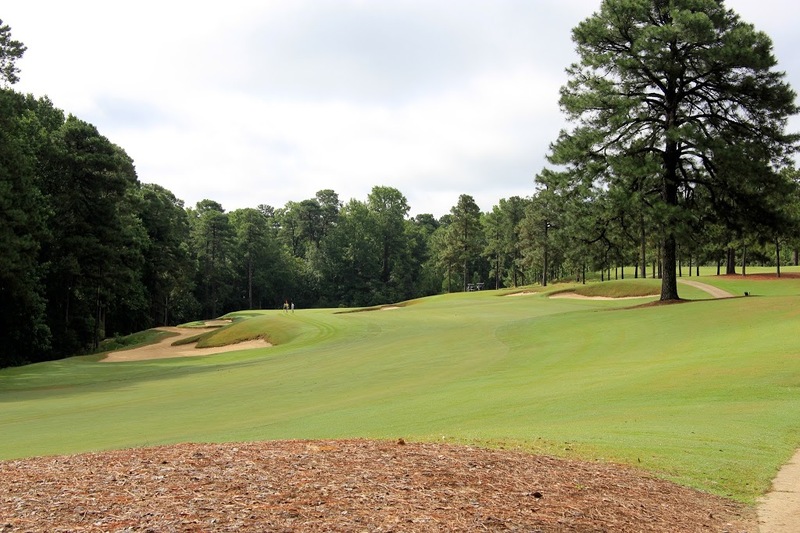 The large wetland areas on the back nine cannot be found elsewhere at Pinehurst, and the course is strengthened because of their presence. No. 8 re-did their greens this past off season, switching from bent grass to a hot climate-friendly bermuda grass. The greens had not quite settled when we played the course and although beautifully smooth, they were very bouncy and didn’t hold approach shots well. It is said that Fazio tried to channel certain features of Donald Ross in his design of no. 8. False fronts and swales surrounding the green do harken back to Ross, but the feel of the course is overwhelmingly Fazio. I am a fan of the utilization of natural wetlands on the course. 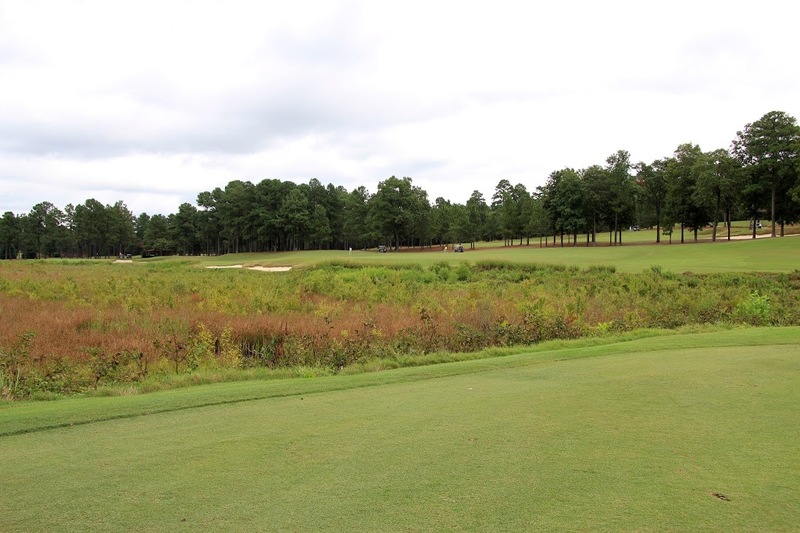 The large wetland areas on the back nine cannot be found elsewhere at Pinehurst, and the course is strengthened because of their presence. Hole #1 – 338 yards The course begins with a simple hole and blind tee shot. A long or mid iron down the fairway leaves a wedge into the green. 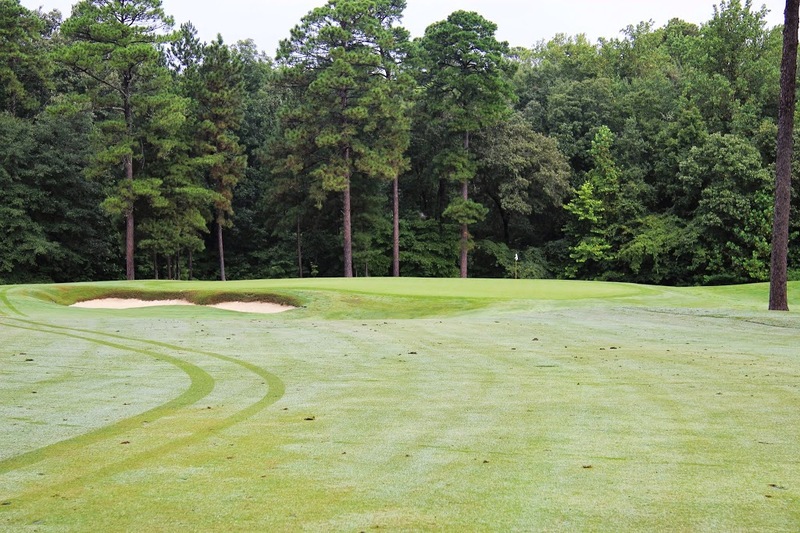 While the hole may appear easy, when the greens are firm, a wayward approach can quickly lead to an opening bogey. Hole #2 – 532 yards The par 5 second has always been one of my favorite holes on the course. A draw is needed off the tee, a cut is needed for the layup, and a draw is needed for the approach. Longer hitters can hit two power draws, and any miss left is in grave danger. 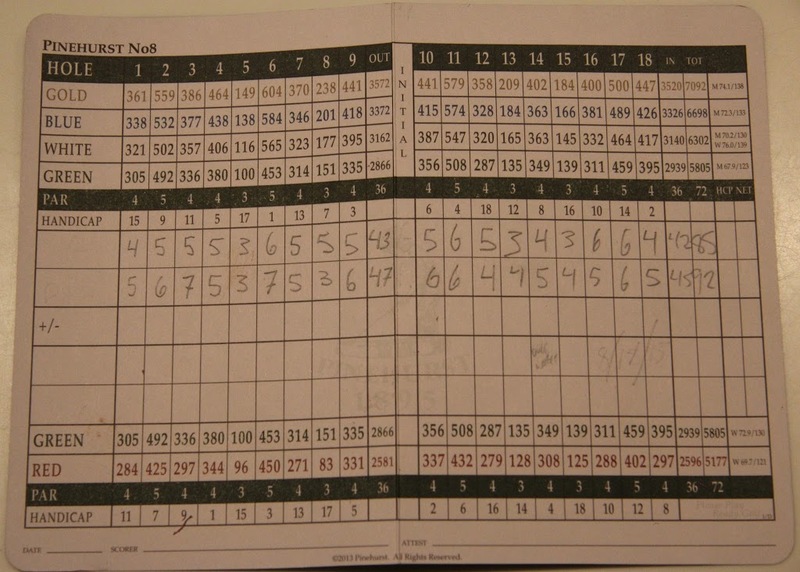 Hole #3 – 377 yards The third looks simple enough on the score card, but any wayward shot is magnified. Fairway bunkers guarding the left are well within play, and the optimal line into the green (if the pin is on the right) is on the left half of the fairway. A massive bunker guards short right of the green. 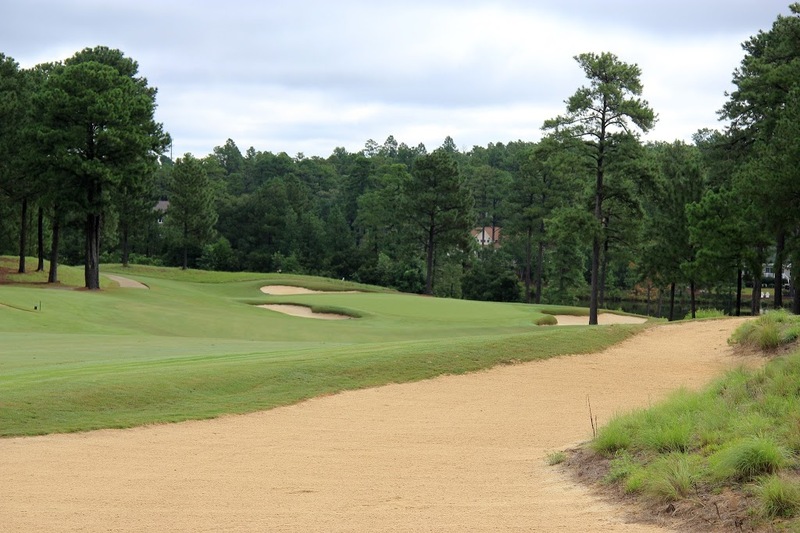 Hole #4 – 438 yards The 5th hole is the golfer’s first encounter of the waste bunkers for which Pinehurst is so well known. If possible, the play is to cut off a bit of the waste bunker on the left in order to catch the downhill slope towards the green. Playing down the center of the fairway leaves a long downhill shot the well guarded putting surface. Hole #6 – 584 yards This long par 5 is another one of Fazio’s snaking holes requiring movement of the ball in multiple directions. A cut off the tee is followed by a draw into the green. Missing left at any point is deadly. 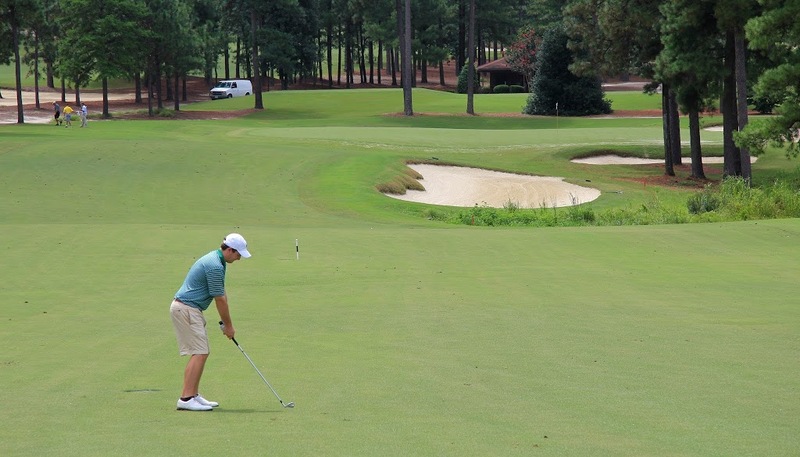 Three great shots will result in a birdie putt. Anything short of three stellar shots and you have bogeyed the hole. 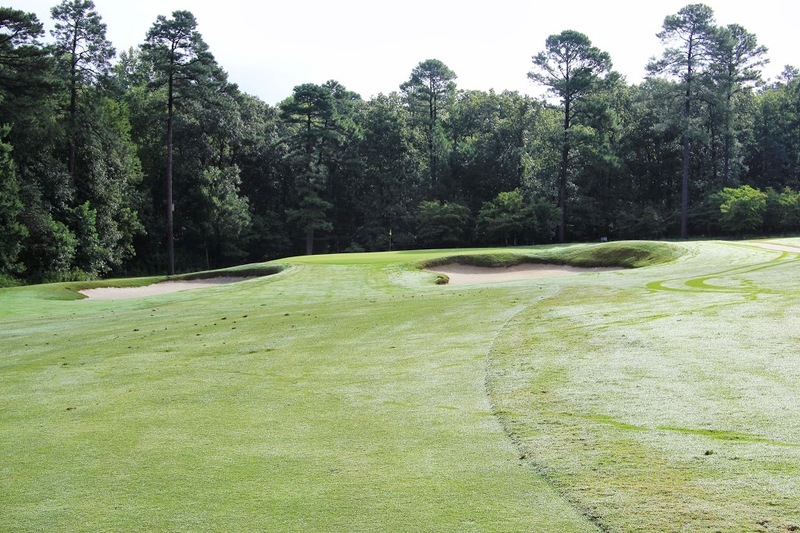 Hole #8 – 201 yards The 8th hole is a typical Fazio par 3. 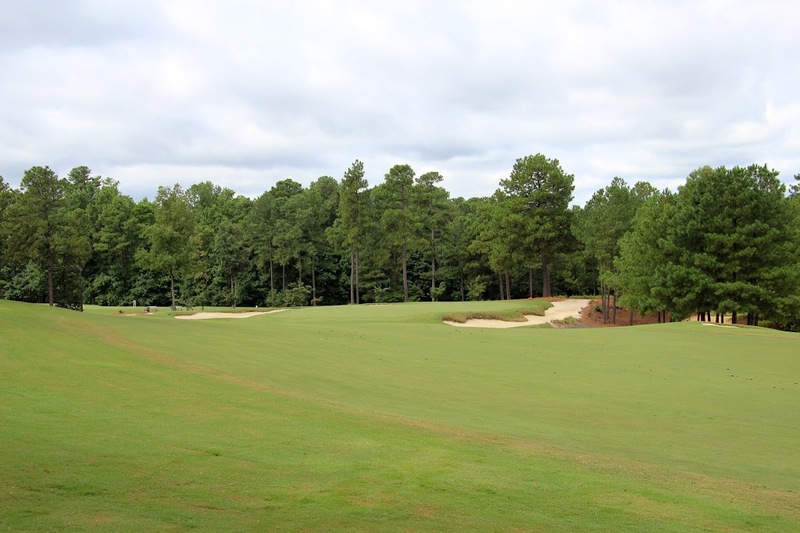 It is similar to the second hole at Forest Creek’s North Course with a safe side left and large bunker / hazard guarding the right. Aim for the center of the green and happily take the par. 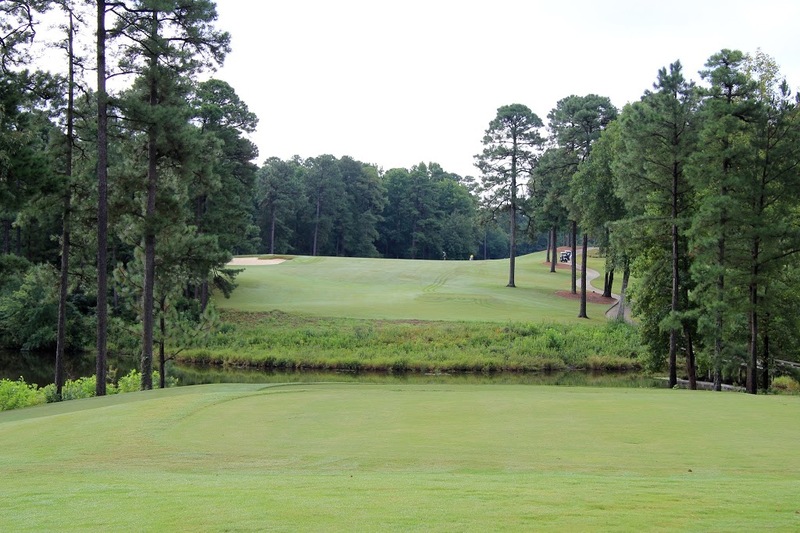 Hole #9 – 418 yards The 9th is an acute dogleg right. The picture above was taken where a well struck drive would end. 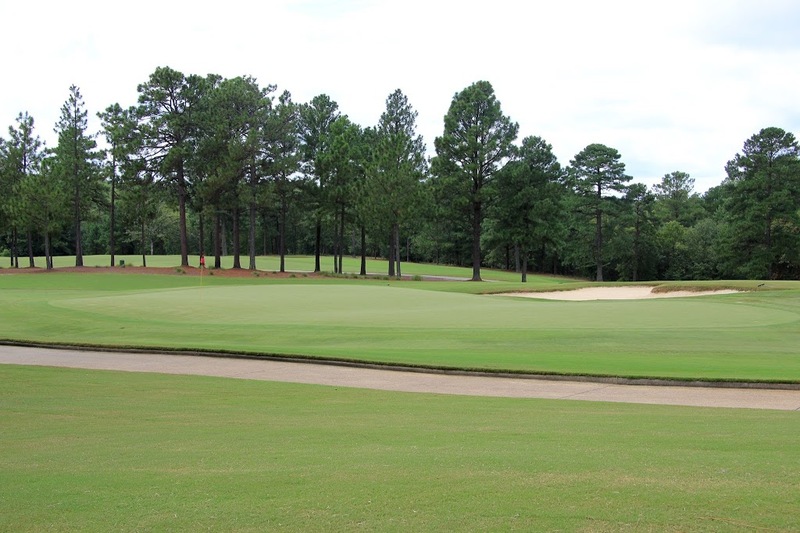 The green is extremely large and has two peninsulas back left and right providing, for very tough pin positions. 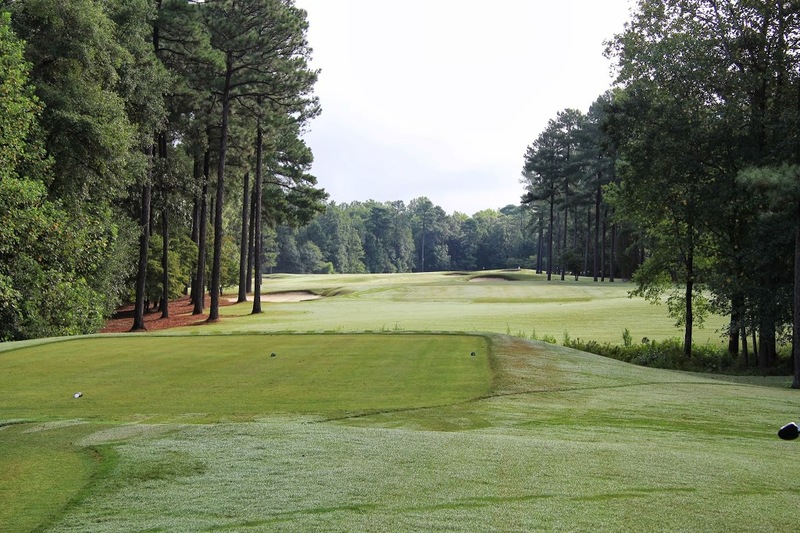 Hole #11 – 574 yards The 11th is another long and difficult par 5. The left to right slope of the fairway doesn’t fully come through in the photos. A draw off the tee (that avoids the left hand bunkers) is needed, followed by two more nice draws to reach the slightly elevated green. The correct miss is short of the green. A deep bunker off the right hand side can be seen in the photo above. 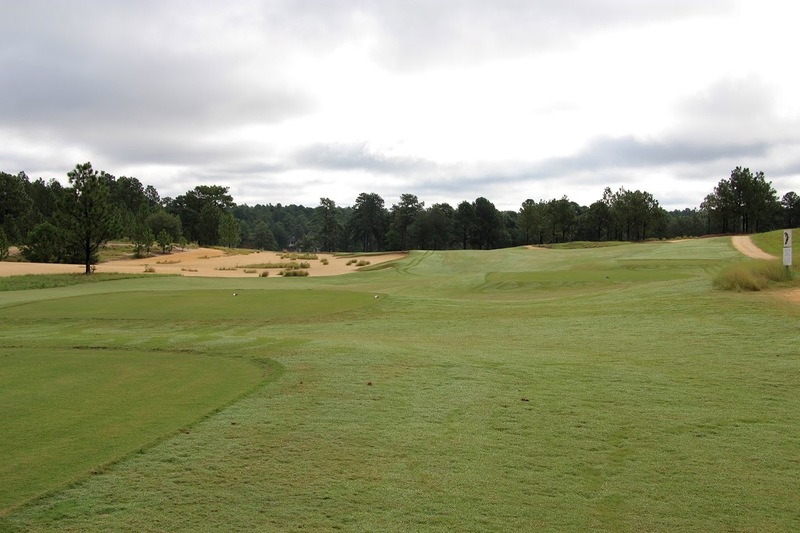 Hole #12 – 328 yards The short yardage of this hole is not indicative of its difficulty. This is especially true depending on where the pin is located. 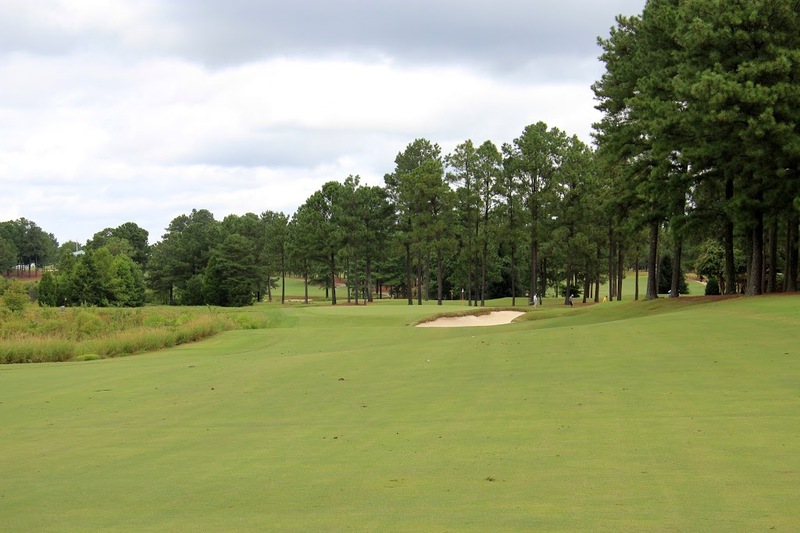 A long iron to the bend of the dogleg leaves a short wedge down the hill to the green. A back right pin is very difficult. However, a front pin, like the one seen above, is fairly easy and the hole becomes very birdie-able. Hole #13 – 184 yards The 13th hole has stuck in my mind since the first time I played the course. Bunkers and trees left and right of the green are intimidating, and while it looks like the slope on the right continues up the green, it actually ends about 30 yards short. It simply takes a very well struck iron to hit this green. No tricks or gimmicks. 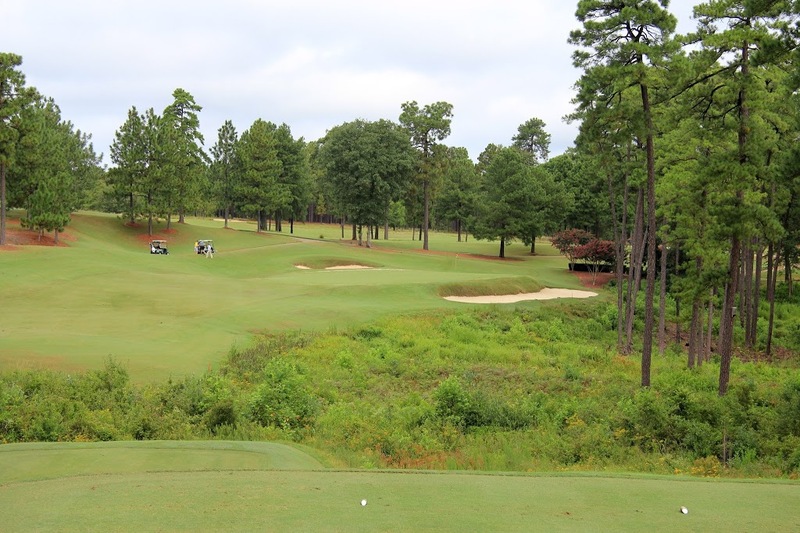 Hole #14 – 363 yards The 14th is another hole that stands out thinking back on the round. The natural marshland is featured in a forced carry to reach the fairway. The drive is risk / reward, and golfers can cut off as much as they dare. A good drive leaves around 135 yards into the green. 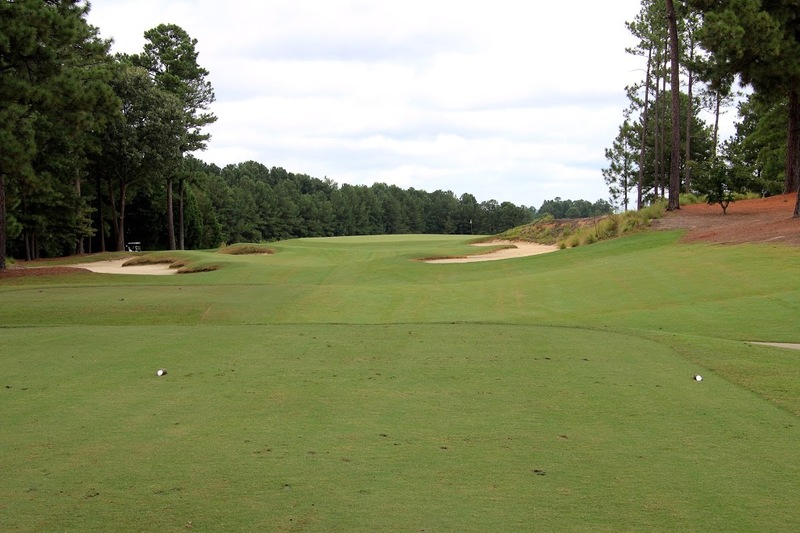 While it doesn’t come directly into play, the marsh on the left creates a subconscious worry during the approach shot. The 17th is yet another strong par 5 on the course. A cut drive or a strong draw over the waste area leave the opportunity for longer hitters to reach the green in two shots. 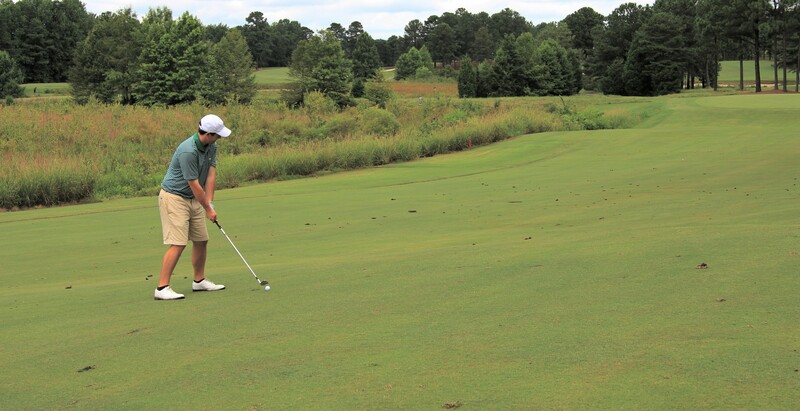 In the second photo, I am seen hitting my approach shot from 200 yards to a difficult pin placed just over the bunkers. It is one of those picturesque and challenging shots that you wish you could practice all day long. 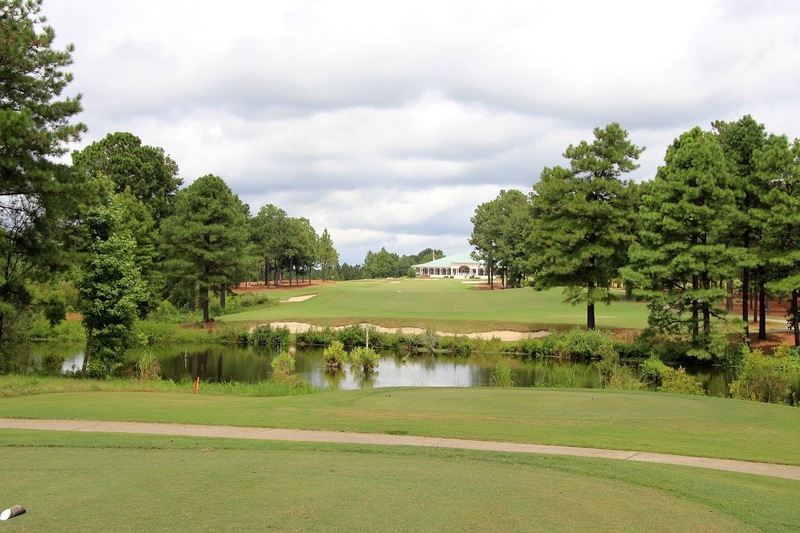 Hole #18 – 426 yards The 18th is a strong finishing hole capping off an enjoyable and challenging round of golf. The water feature and bunker in front of the tee are purely aesthetic and do little to add to the strength of the hole. The real challenge is the slope of the green. The second photo above is taken from the side of the green, and doesn’t fully do the slopes justice. 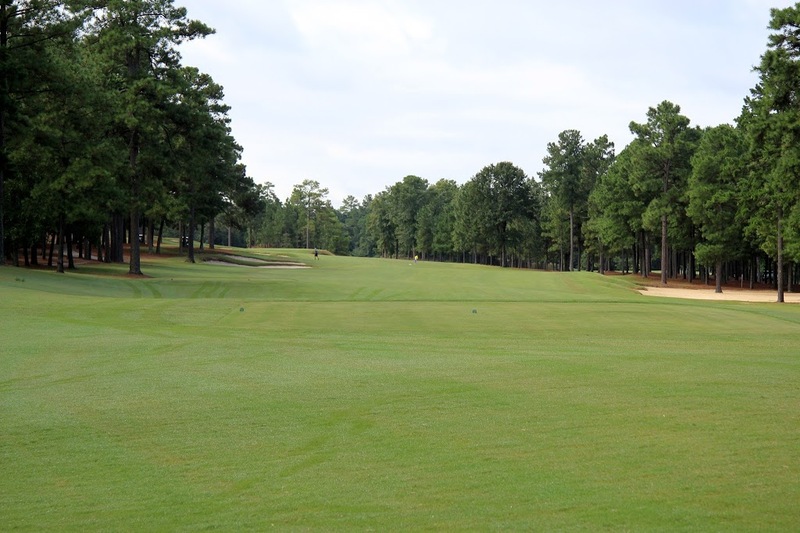 Approach shots can also vary greatly in distance depending on pin positions. 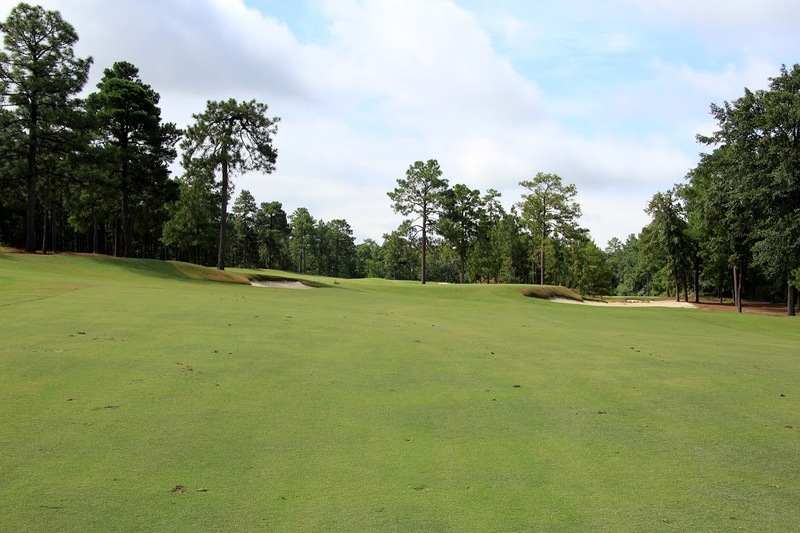 If you are taking a trip to Pinehurst, I would suggest playing numbers 2, 4, and 8 before playing any of the other courses at the resort. While no. 2 has been refurbished and has lost quite a bit of its “resort” feel, no. 8 has 100% of the resort feeling, but that is okay! The round will be very enjoyable, and I guarantee you’ll savor the break from the punishing bunkers and slopes of numbers 2 and 4.